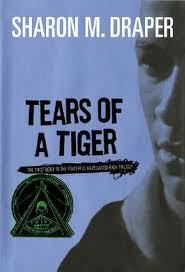 Tears of a Tiger is the first book of the Hazelwood High trilogy. 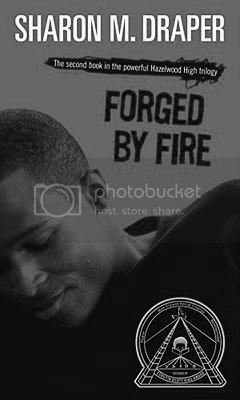 The books center around a main character named Andy Jackson and his life after a car accident which claimed the life of his bestfriend and teammate Robert Washington. Andy becomes consumed by the guilt of driving the car that killed his best friend and he contemplates suicide and other methods of harm. Though the book mainly focuses on Andy and how he copes, there are focuses on his friends and how they coped as well. Review: Looking at this book as a whole, it was good. If I were to nitpick and point out every little flaw like I tend to do in my reviews, this book might be knocked down a star. Despite this, there definitely were things I enjoyed about this book. The format was very creative and made this an interesting, face-paced read overall. 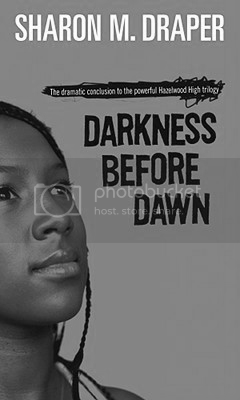 There is absolutely no description in the book (which I thought would be detrimental to the reading experience, but actually turned out quite fine), the characters have terrible grammar (which, admittedly, became annoying at parts), and the emotions were actually quite pervasive despite the overall setting. The ending where Andy committed suicide really got to me. Especially because all of his friends, in their letters to him, seemed angry with him and did not seem to be mourning his death (with the exception of Keisha). Final Verdict: Three stars. Overall, the book was good. I wasn't really a fan of the stereotyping and the language used [i.e. syntax and diction, not necessary because of the swearing (if there even was any)]. If you need a quick read to toy with your emotions a little, pick this up.